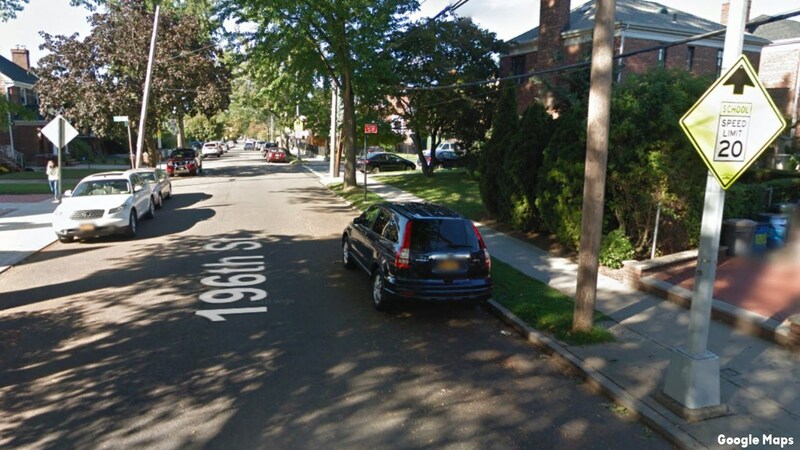 FLUSHING, Queens -- A Queens woman is facing labor trafficking and other charges after authorities say she took two Korean children - now 16 and 14 - into her home in 2010 and held them captive. "According to the charges, the defendant cut off all contact between the two young victims and their parents in Korea, held them hostage in her home by seizing their passports, forced them to do household chores well into the night and to work outside of the home and turn over all their earnings to her," said Queens District Attorney Richard Brown. "In return, the victims were allegedly given space to sleep on the floor without a mattress. In the older child's case, the space allegedly was in a closet." The defendant, Sook Yeong Park, 42, of Flushing, is charged with labor trafficking, third-degree assault and endangering the welfare of a child. Brown said that shortly after being placed with Park, the girl was forced by Park to work almost every day after school for about 10 hours doing housework, including meticulously cleaning Park's residence for her and her family, as well as forcing the child to give her back and foot massages and manicures and pedicures. In one instance, it is alleged that Park forced the girl to give her a five-hour body massage while Park watched television. "The defendant lives on a quiet, tree-lined Queens street with neat brick veneer homes that offered no clues to the horrors that she allegedly made her two young victims endure beginning when they were nine and eleven in age," said Brown. Prosecutors say the two victims, a 16-year-old female and her 14-year-old brother - were brought to the United States from Korea in approximately January 2010 by one of Park's relatives who delivered them to her at her former Queens residence. She then allegedly confiscated their passports and moved them to her current home. According to the criminal charges, beginning in April 2013 and continuing until approximately 2014, Park started requiring the girl to work at a Queens grocery store approximately two days a week for eight hours a day at a salary of $10 an hour which she was forced to turn over in full to Park. She was then forced to work several days a week at a grocery store on Northern Boulevard, as well as at other grocery stores in New York City, for nine hours a day at a wage of $10 an hour and turn the wages over to Park, Brown said, adding that the boy was also forced to work at the store. The two children were allegedly told by Park that they had to work to pay their expenses because their mother wasn't sending her any money from Korea. Park forced the female victim to sleep on the floor in a small closet with one blanket and no mattress and the male victim to sleep on a bedroom floor with only one blanket and no mattress, prosecutors said. Park allegedly beat them by striking them with objects, slapping them, stepping on their legs and kicking them about the body for not obeying her orders, causing them to fear her. Over the past year, it is alleged that Park often made the girl miss school in order to assist her and clean her residence. In November 2015, Park allegedly scratched the female victim about the legs with a nail clipper, causing scratches and substantial pain, because the manicure and pedicure that the victim was giving her were not up to her standards. Two months later, authorities say Park became angry with the girl and began kicking her on her leg, causing swelling and substantial pain, and the following day, Park became angry with her and cut off her hair and kicked her in the head, causing swelling and substantial pain. The matter came to light when the children reported the physical abuse to school officials who, in turn, notified the police. Park, who faces up to seven years in prison if convicted, was ordered held on $10,000 bond/$2,500 cash bail and to return to court on February 16.